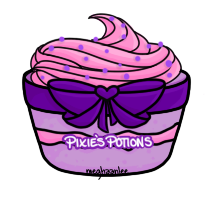 Welcome to Pixie's Potions, a pixel potion adoptable site created by me, Sophie. This is Pixie, she brews the potions just to your tastes! you find your perfect potion. I may also whip up a special custom potion, just for you. Go to Requests to see if I'm available. Leave credit , do not remove the link. or is claiming as their own, I will report them immediately. No altering or editing them in any way. These are not makeables. Check if requests are open before sending in the form. (Be as specific as possible. Please delete everything in parenthesis) Name and Username: What are you are you requesting the potion for? : (Pet/User/Item. 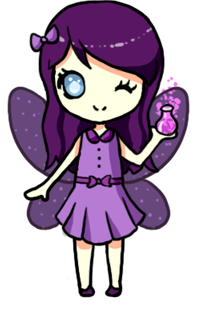 If requesting for a pet, please provide a url to it's lookup) Design and colour theme of potion: (if you want it really specific, you may use hex codes) Details: (do you want any wings, ribbons ect? 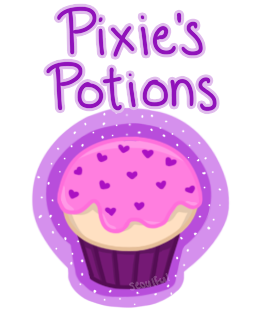 Please see my premade potions for examples) Text: (If none, leave blank) Sparkles or hovering item? : (Please specify colour/design. If none, leave blank) Do you have a ref? : (If none, leave blank) Anything else? 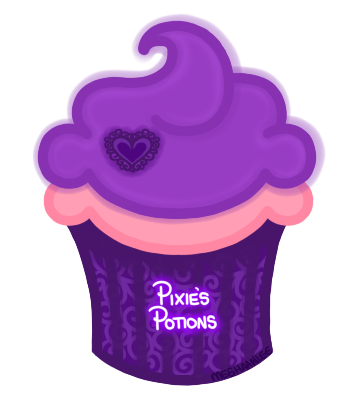 : Thanks for requesting at Pixie's Potions!